Massive tube-driven tone with 100W of 2x12" punch. The Mantis Jr 2x12 100W Combo features two Warehouse ET-1265 speakers in a tuned rear-ported enclosure which give it enormous bass and presentation for a compact combo of this size. 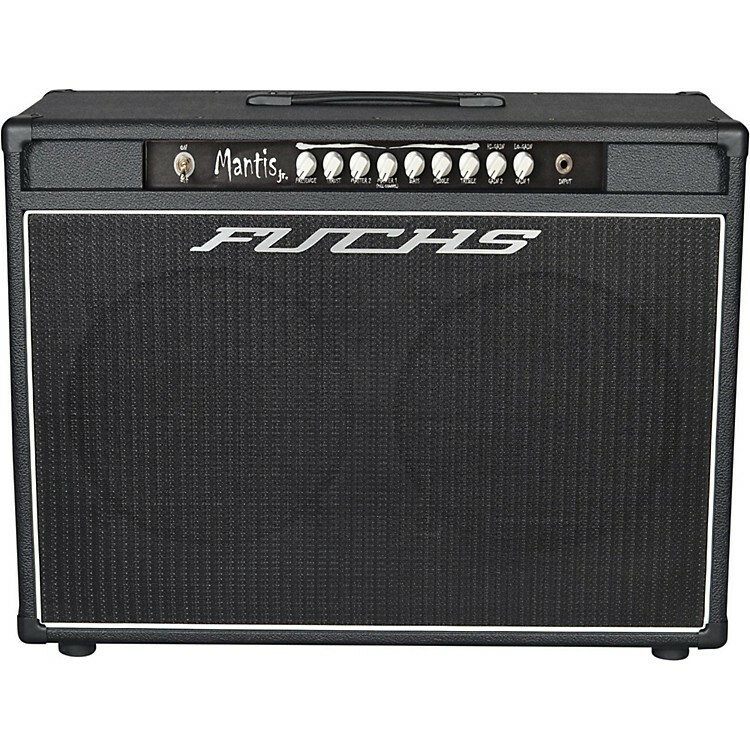 Unlike other combos where the rear is over 75% open, the Fuchs combos are over 75% closed and feature a port which produces a deep, strong low end unheard of in a combo platform. The Mantis Jr. is based on the ODS/Casino sized chassis platform, has two channels with a shared bass, middle, treble tone stack, a passive effects loop and 4-8-16 ohm outputs and will include a two-way footswitch for channel switching and gain boost. The two channels each feature a distinct voicing: Channel 1 is a traditional classic English style EQ with tons of gain on tap, cleans up easily from the guitar, and works equally well for chunky rhythm or "brown sound" lead tones. Channel 2 features a higher gain structure with a more strident clipping structure for "modern rock and metal tones." This amp also features an internal user adjustable preset gain boost, has both a presence and thrust control which alter the damping and voicing of the high and low end of the power amp section respectively.